is a professional android tv box developer & manufacturer in China. Also the hottest T8 tv box in the market original developer & manufacturer. we own the best after-sale service,if any problem happen,our team wil do our best to solve for customers. , Ltd, have been persisting in the development strategy of High Starting Point, High Technology, High Quality and High Efficient since founded. At present, we have our own leading core technology and the capability of sustainable research and development. Our turnover is increasing geometrically in recent years due to mature technology, very high quality products and strong market response ability. Shenzhen Golden Star Technology Ltd. If the device is defected and faulty that you can not fix at all, pls send the faulty unit back to us, and provide tracking No. Q: If we order the samples today, when it will be dlivery and arrive 9 A: In general same day we will ship it out and you can see it online the second day, and will cost about 3-4 days arrive. QC department with professional quality assurance specialist attach great importance to quality controlling from the very beginning to the very end. 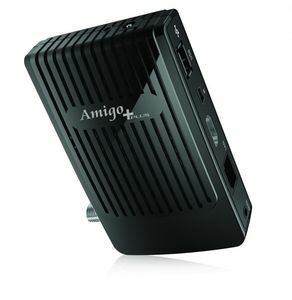 2) 3 way video output, 1 way audio output (LR) . 3) 1 way AV input, support astern and remote control switch. 6) antenna support internal power supply. We utilize automatic SMT and wave soldering machines from the US for precise, efficient and cost effective manufacturing. The products exported in Europe, Australia, North and South America, the Middle East and Africa meanwhile enjoyed a good reputation worldwide. F : Remarks : If problems cannot sloved and we suggest applying arbitration or international business lawsuit based on our sales contract. .
, Ltd Bowei Electronics is a professional manufacture 21 years specialized in LNB, MMDS down converter and Antenna etc. Microwave High Frequency Electronics are mainly exported to Europe, Southeast Asia, Middle East, North America etc. Our Company have a professional engineers team,can design the products as your specification. 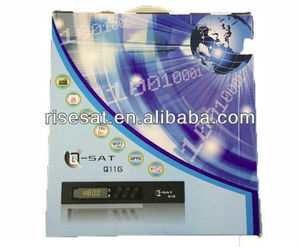 Alibaba.com offers 1,545 sat receiver products. About 44% of these are satellite tv receiver, 25% are remote control, and 13% are set top box. A wide variety of sat receiver options are available to you, such as digital, analog. You can also choose from yes, no. As well as from paid samples, free samples. There are 1,513 sat receiver suppliers, mainly located in Asia. The top supplying countries are China (Mainland), United Arab Emirates, and Slovakia (Slovak Republic), which supply 98%, 1%, and 1% of sat receiver respectively. Sat receiver products are most popular in Western Europe, Mid East, and South America. You can ensure product safety by selecting from certified suppliers, including 627 with Other, 259 with ISO9001, and 22 with ISO14001 certification.